"In the dark beside me, she smelled of sweat and sunshine and vanilla, and on that thin-mooned night I could see little more than her silhouette, but even in the dark, I could see her eyes - fierce emeralds. 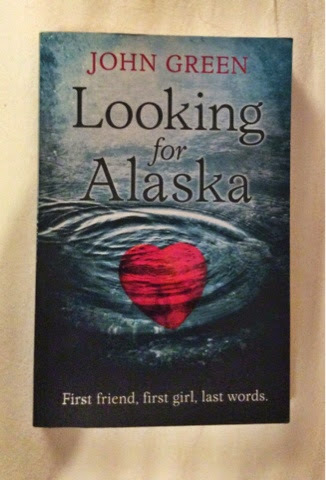 And not just beautiful, but hot too"
Looking for Alaska was a deep and powerful read. It's a tale about love, loss, growing up and friendships. John Green writes Looking for Alaska in Miles' point of view, we see the world through his eyes as he goes through the journey of a new school, new friends and new experiences. I found this novel incredibly engaging, interesting and so beautifully written. A part of the story I particularly liked was how Miles' main interest was famous people's last words. It perfectly intwined with the storyline and made it all more special. The only downside was a friend of mine told me the whole ending of the story meaning I wasn't shocked when it happened, it ruined the intensity for me as I knew what happened. I wouldn't let this put you off though!! I recommend this book for all YA enthusiasts and John Green fans. I've been meaning to read this book. I've read a few John Green books and always walked away satisfied with happy thoughts, so I might just have to give this one a go. Thanks for the review!